Just regular folks. : Taxes, Poor Jeremy, Colony Club. Jeremy came back from California exhausted and ill. He caught a cold at the tail end of his trip and has spent the week dragging himself into this time zone, fighting his cold and facing a full plate of stuff at work including socializing in the evenings (remember, he hasn't been in the office since we left for Pittsburgh for spring break - longer than 2 weeks). This morning, we woke to the alarm, turned on the light and then Jeremy said in a terribly hoarse voice - I feel terrible, this is not the morning to feel terrible because today I have to do a presentation with people who might disagree and that will require diplomacy and tact. I'm not sure I can be diplomatic feeling this terrible. Poor guy. I'm trying to avoid his cold and I've been procrastinating on taxes. 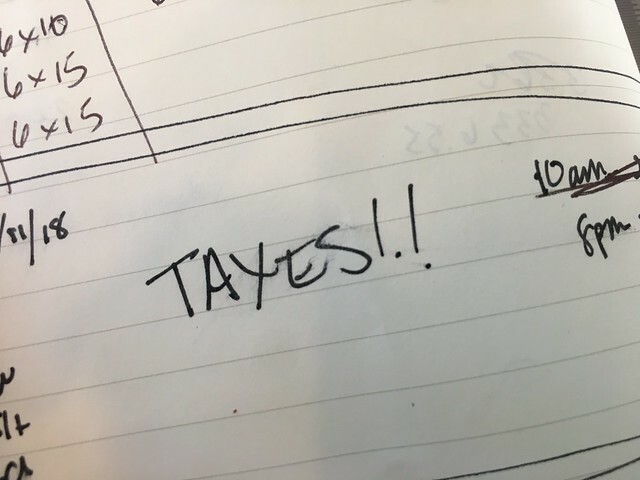 If you look at my to-do list, it looks like the above for about a week. 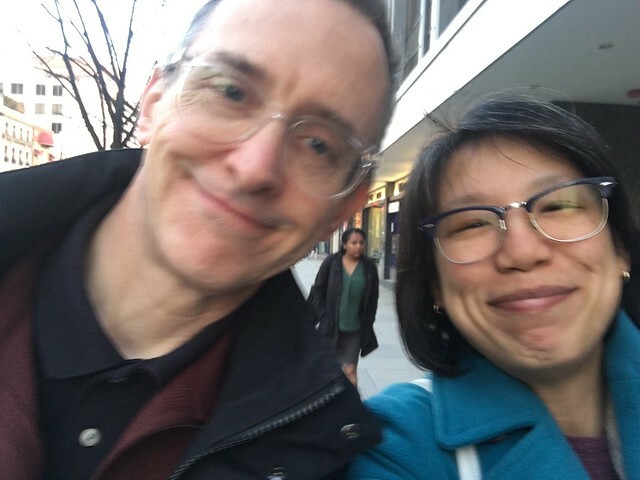 On Wed, I had an event I wanted to attend downtown and Jeremy was putting in an appearance at a happy hour after work and therefore, we crossed paths at Dupont Circle and had a Shake Shack dinner and I headed deeper downtown and Jeremy headed home to bed. 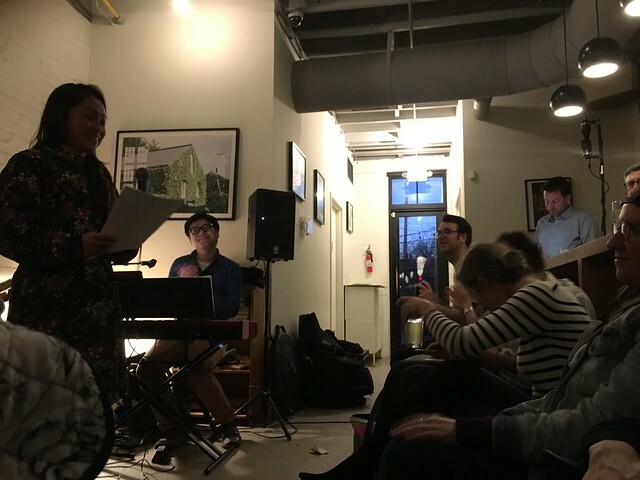 I went to the Colony Club which is near Columbia Heights where Thu and her brother were doing a combo poetry reading & band performance. I had a really great time, I don't know what I'm doing to deserve these invitations, but they delight me to no end. It's like a whole 'nuther life - a literary, artistic life. I took a Lyft from Shake Shack to the club because I was running late, but to go home, I walked the half mile to the Columbia Heights metro. That's also something that I like to re-experience, walking downtown at night, I used to do that all the time! Well, when I was in college. 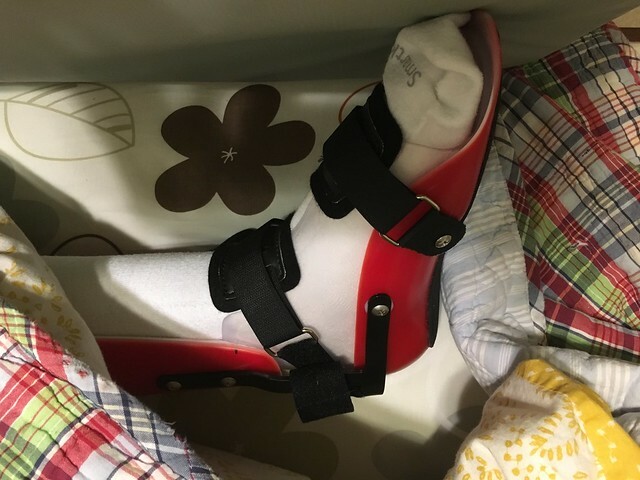 Today, I spent a couple of hours with Edda at her orthotist figuring out new bracing for her errant foot. I actually refused the new daytime braces and we are going to get different ones. She got a new tensioner to wear at night to prevent her toe from pointing too much.